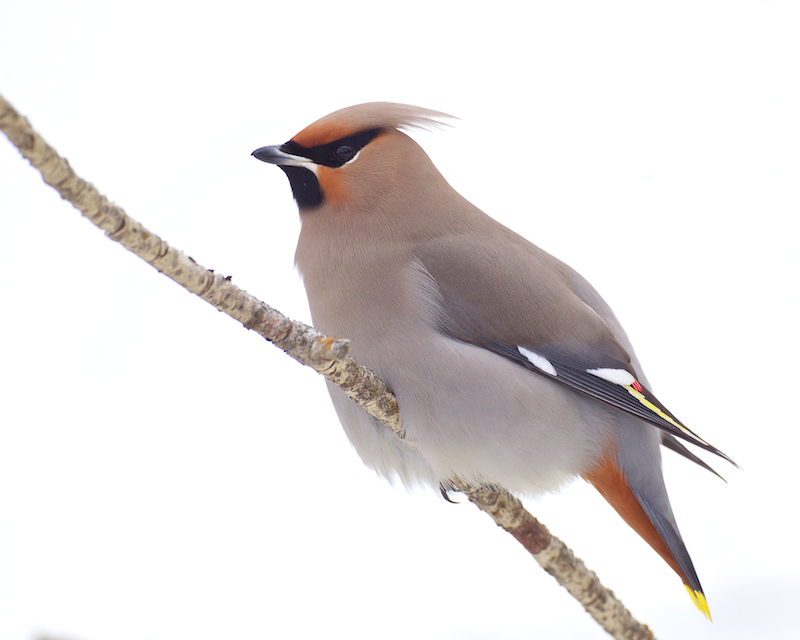 Do Bohemian Waxwings glow in the dark? The warm colors and bright accents of the Bohemian Waxwing might make you think it glows in the dark. For the better part of two thousand years, that’s what people believed. Pliny reported that their feathers “shine like flames” in the dark forests of central Europe. The Germans allegedly used captive birds to light their way at night. But at the end of the sixteenth century, the great Italian birdman Ulysses Aldrovandi dismissed the notion that waxwings emit light. Today, we are fortunate that these winter nomads brighten our days. Support comes from Sasquatch Books, offering BirdNote, the Book. Full of chirps and quirks, and it's wrappable for holiday gifts. More at SasquatchBooks.com. It was believed in all earnestness that these gentle, crested fruit-eaters glowed in the dark. But at the end of the sixteenth century, the great Italian bird man Ulysses Aldrovandi was skeptical. In his twelve-volume encyclopedia of ornithology, Aldrovandi admits that the waxy red tips on the bird’s wing feathers are beautiful, but he dismisses the notion that they give off any kind of light. “For nearly three months,” he writes, “I kept a waxwing alive in my house and observed it through the night.” He goes on to note the bird stubbornly failed to emit flames or light of any kind. Bird sounds provided by The Macaulay Library of Natural Sounds at the Cornell Lab of Ornithology, Ithaca, New York. 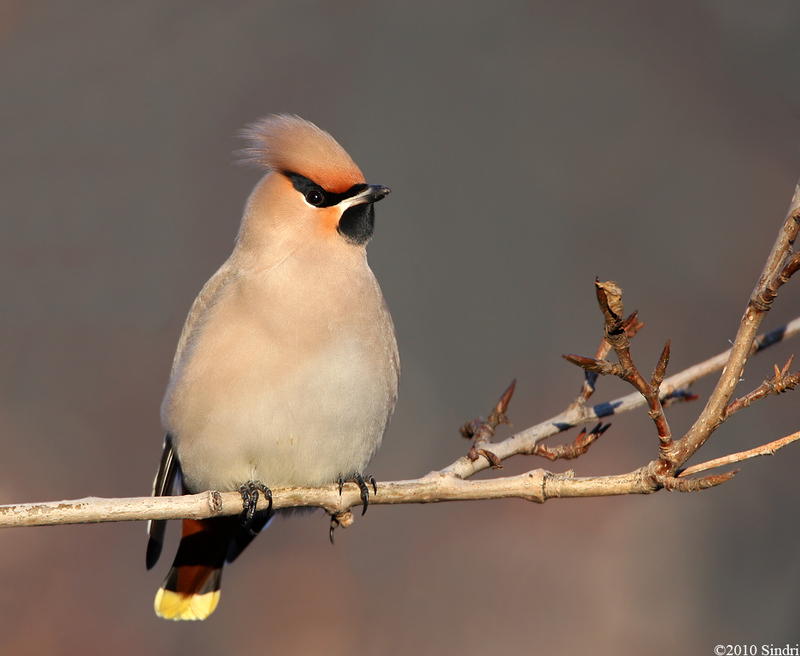 Bohemian Waxwing, ML 170762, recorded by David A. McCartt. Richard Wagner, Siegfried-Idylle. youtube.com/watch?v=891JUSQplzU Performed by Sergiu Celibidache and the Münchner Philharmoniker.